I got a short post here for you. Day 3 was a driving day, meaning we actually were on the road for most of it. Aptly so, since driving through New Mexico took us on the Mother Road itself, Route 66. After getting out of Mesa Verde on Thursday morning, we drove straight to Albuquerque, NM. We wish we had spent more time on our stops but again, we were on a schedule. We had been too slow on our previous two days and almost skipped Albuquerque altogether. 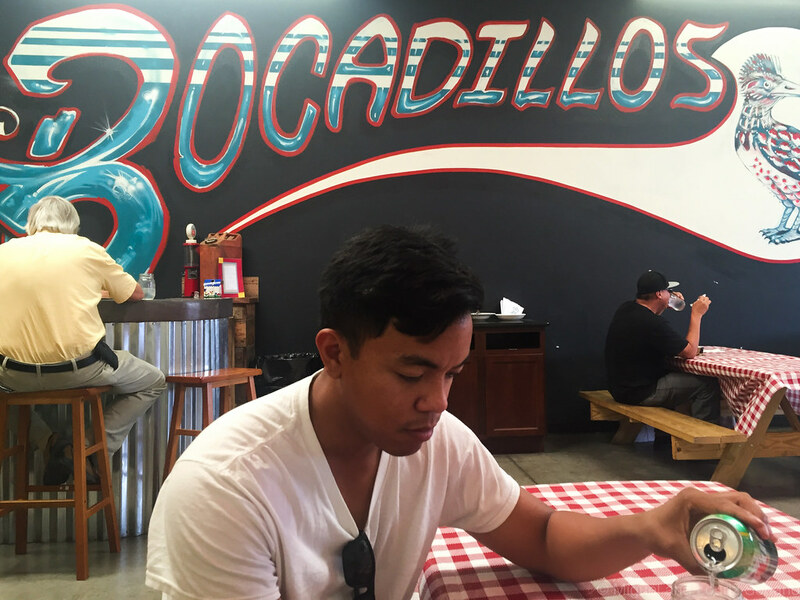 All we managed was to sneak into the city for the necessary lunch stop at Bocadillos Slow Roasted. You can tell from Miguel’s face above that he was not very cheery. This was because he was hungry and it was hot. 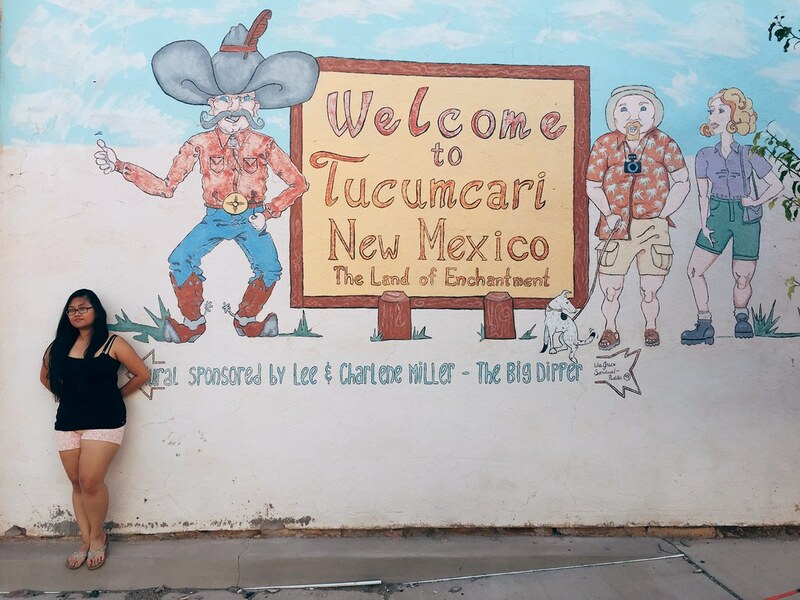 We got to Albuquerque around noon and it was 96F, but felt like a desert-dry 110F. 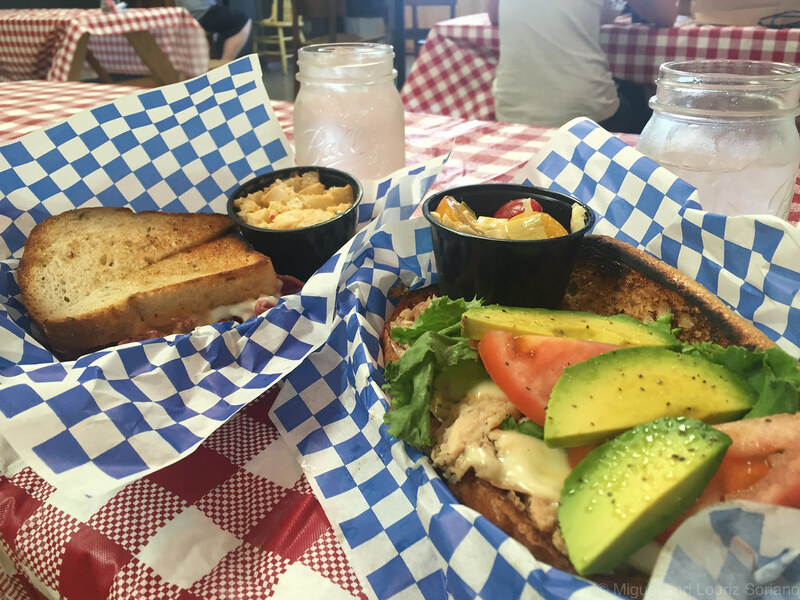 The sandwiches, themselves, turned out to be amazing – some of the best I’ve ever had. I got the TnA (Slow Roasted Turkey, Fresh Avocado, Apple Chutney, Muenster Cheese) and Miguel got the Duke City Ruben (Slow Roasted Corned Beef, House-made Kraut & Chipotle 1000 Island Dressing). I’m giving you the ingredients because, yes, they were that good. After lunch, we were back on the road. I remember being cranky at this point. Even after a great lunch, the prospect of driving under the dry desert heat for another 300 miles was not appealing. Sorry New Mexico, you caught us on a grouchy mood. We just wanted to get as much mileage as possible. 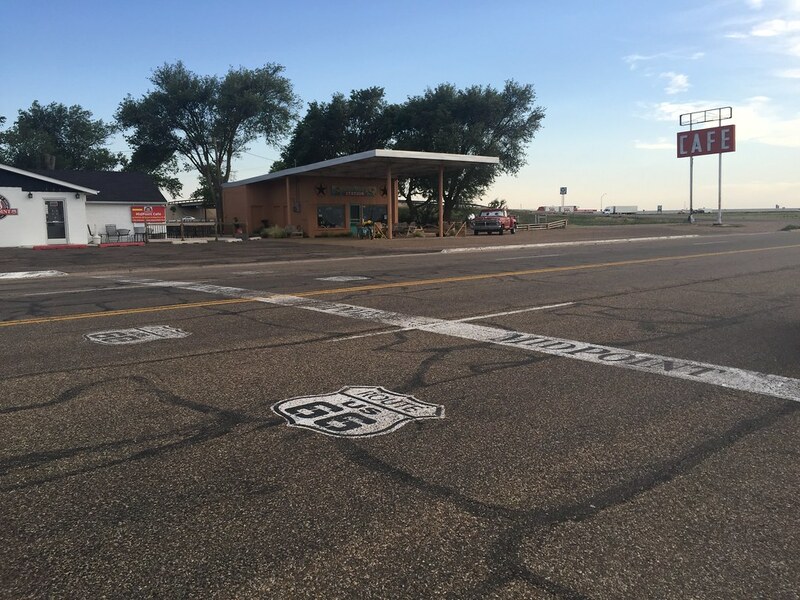 But as mentioned, our highway route runs parallel to the old Route 66. 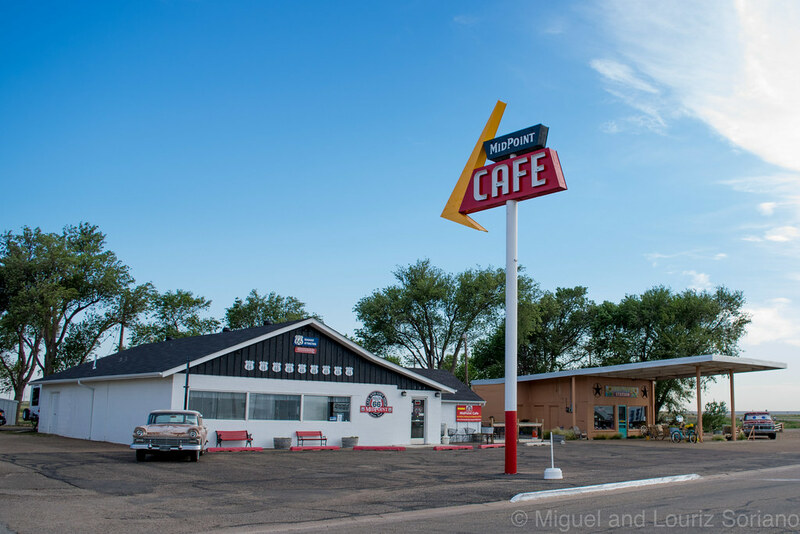 When we got to Tucumcari, NM, we got off the I-40 and drove around the classic rest-stop town. 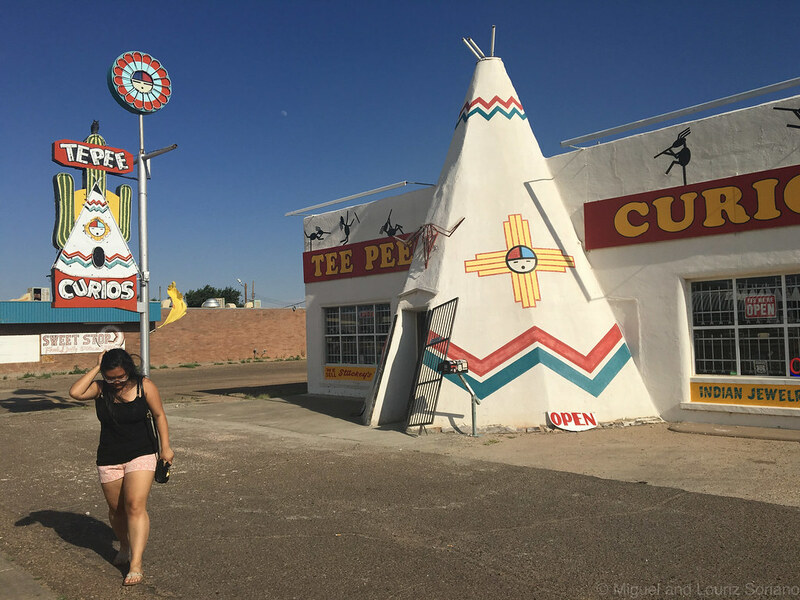 The building below is Teepee Curios, which was and is an original Route 66 landmark since the 1940’s, obviously before everything went PC. Inside, it is a true curiosity shop filled from floor-to-ceiling with knick-knacks. Behind the register was an elderly gentleman standing and a dog sitting on an arm chair. Seriously retro. Okay. Moving on… to Texas. 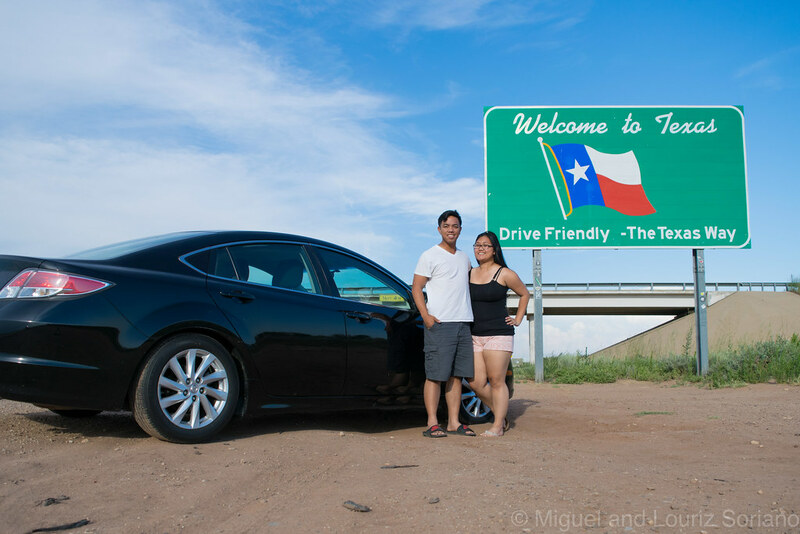 Miguel was so excited to get to Texas as he was, and still is, convinced that Texas is the best state in the Union. (Doesn’t Texas want out? #Texit). This strong opinion was formed on a SINGLE visit to Forth Worth in 2010, when he played drums for a professional singing group (ask him about it). I’m not saying Texas is undeserving of the accolade, but you shouldn’t take it from Miguel. His opinion is based on him being convinced that Texas has a cheap and endless supply of cow meat. 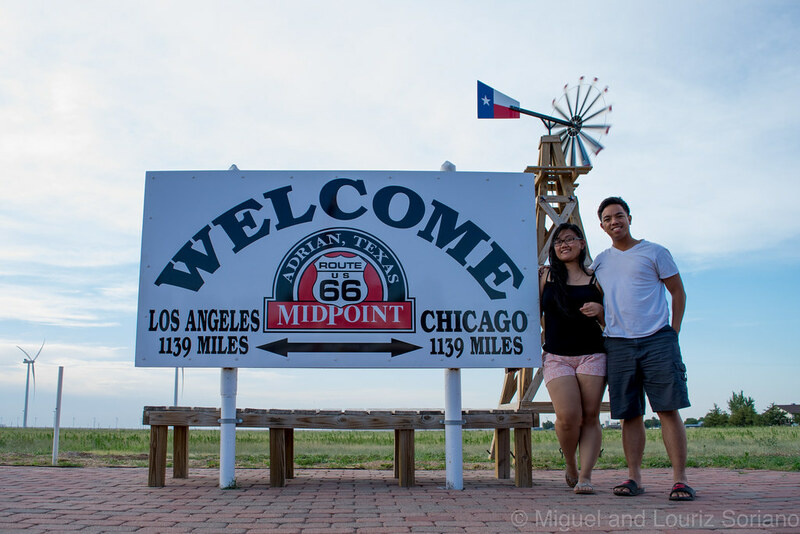 If we were traveling on Route 66 all the way, going from Los Angeles to Chicago, this spot in Adrian, Texas would’ve been our halfway point. Hooray! Complete with old cars and such. 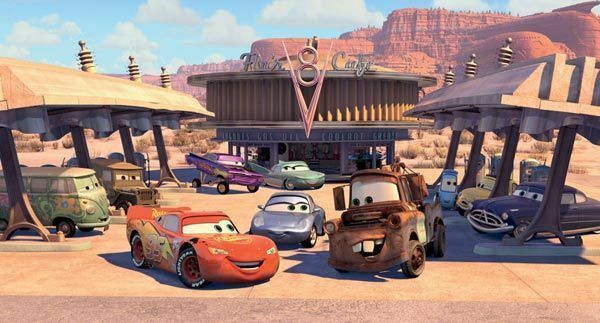 By the way, if you saw Lightning McQueen in the photos above, then you have seen Cars too many times. Behind-the-Camera: What you can’t tell from the photos we took in Adrian is that if you had looked a eastward was a gigantic storm looming overhead. We were scheduled to spend the night in Amarillo and the radio was broadcasting severe thunderstorms right where we were headed. So behind the smiles, we were tired, rushing and anxious to get out of the open highway. Our trip was filled with moments like this when we had to tell ourselves out loud to relax and trust God. Our worrying was for naught, God got us to Amarillo safely. 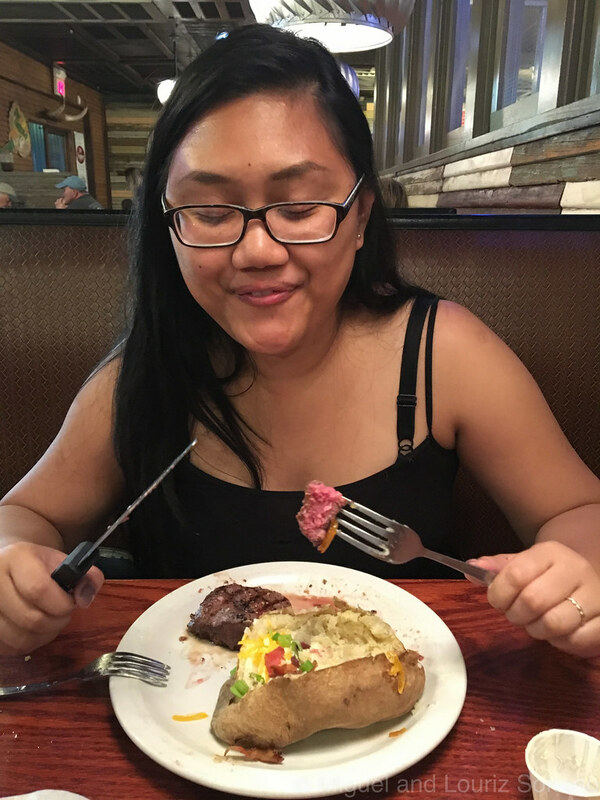 As Miguel’s reward for driving all 8 hours, we had steak dinner at Hoffbrau’s. Of course, I had to reward myself as well, for being a good passenger 🙂 If you’re vegan, please turn away now. That, my friends, is the face of a meat-lover. Sorry, not sorry. With that semi-repulsive photo of me eating what was a truly scrumptious dinner, we end Day 3 // Running Total: 1568 miles (approx). I told you this was a short day – although while on the road for those 8 hours, it felt very long. The cow meat dinner was well-earned. See you at Day 4, coming shortly and hopefully soon.